Do you love kids? Do you love being active and having fun? 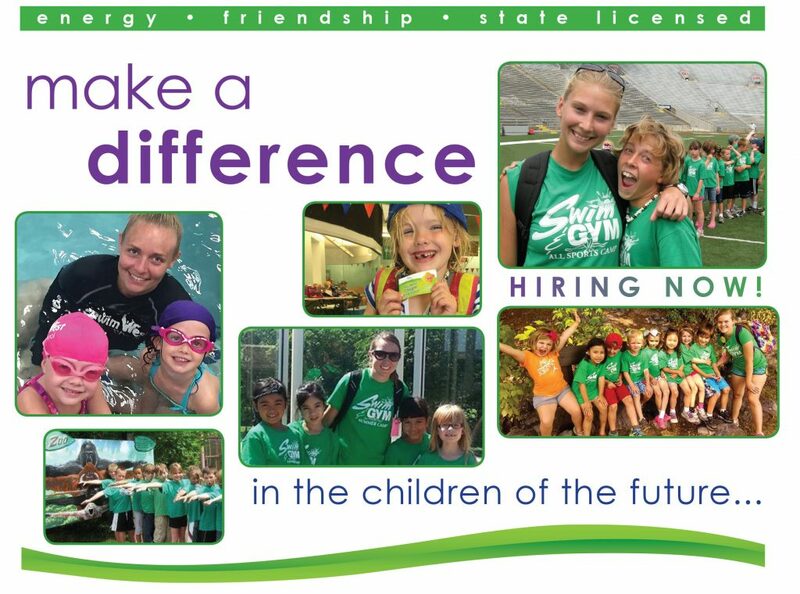 Swim&Gym Summer Camp is always looking for enthusiastic individuals to join our award-winning team! You can download our Swim&Gym Summer Camp application by clicking here. Complete training and American Red Cross certification courses are provided free of charge if you become part of the Swim&Gym staff.